Giacomo Girolamo Casanova de Seingalt (April 2, 1725 - June 4, 1798) was a Venetian adventurer and author. His main book Histoire de ma vie (Story of My Life), part autobiography and part memoir, is regarded as one of the most authentic sources of the customs and norms of European social life during the 18th century.So famous a womanizer was he that his name remains synonymous with the art of seduction and he is sometimes called "the world&apos;s greatest lover". 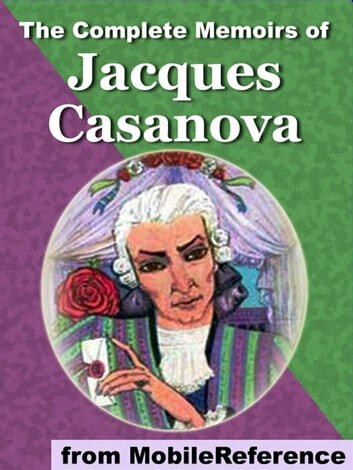 He enjoyed the company of European royalty, popes and cardinals, along with men such as Voltaire, Goethe and Mozart; but if he had not been obliged to spend some years as a librarian in the household of Count Waldstein of Bohemia (where he relieved his boredom by writing the story of his life), he would probably be forgotten today.-- Excerpted from Wikipedia, the free encyclopedia.